Dump Trucks are used to transport material. Construction companies can move sand and gravel easily with these powerful machines. Generally an articulated dump truck has an open-box bed with hinges so that the material can be easily tipped off the truck at the delivery site. 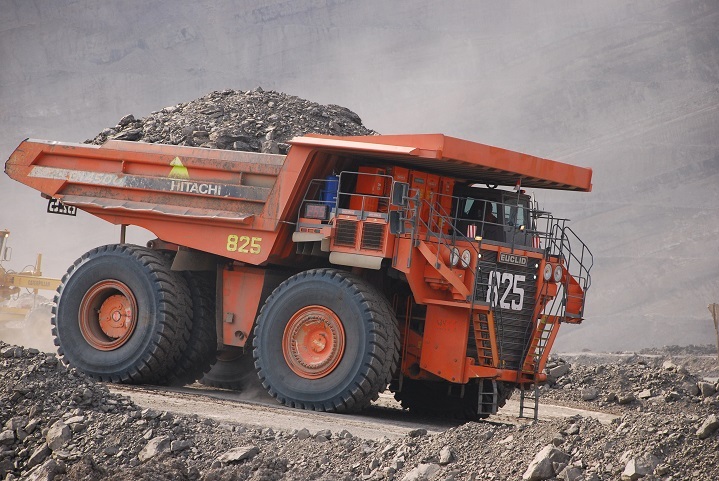 These types of dumpers also play a vital role in the mining industry. If you are looking for large dump trucks for sale here is useful information to get you started. 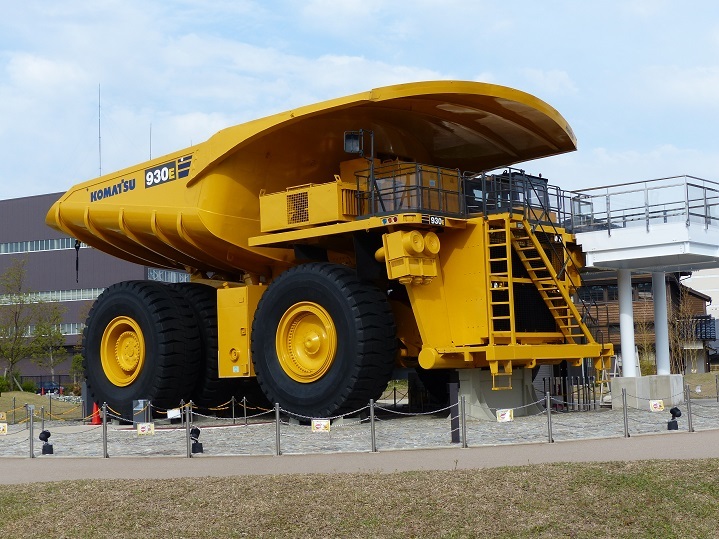 When it comes to the biggest dump truck Liebherr, Komatsu and Hitachi manufacture impressive models. The advantage of finding a tipper truck for sale is that it boosts productivity while decreasing operating costs. 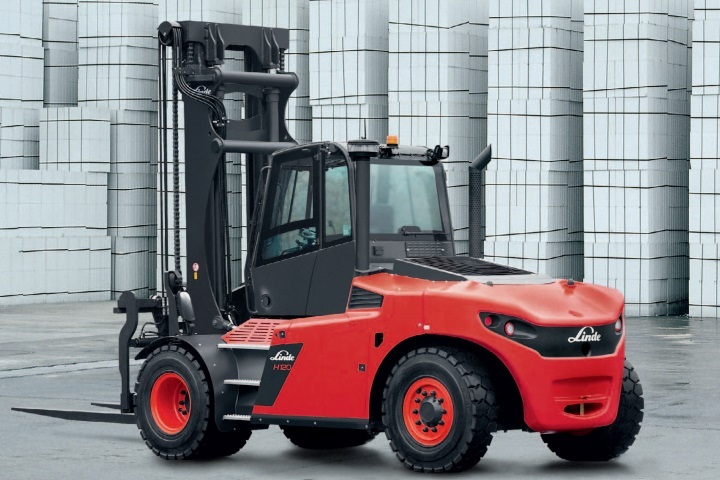 Finding an adequately suited dumper for sale can help to increase profits. When you are choosing between dump trucks for sale it is important to consider the fuel efficiency and maintenance costs for each model. Another factor to consider is in what operating conditions the dump truck performs well. Easy operation is also important so that the driver can focus on getting the job done. Electronic technology and computerised systems contribute to the performance and capabilities of dump trucks. These systems can also alert you to maintenance work that needs to be performed which helps to keep your truck operating at its full potential. While cheap tipper trucks for sale can save you money in the long run, good quality equipment saves you cash on maintenance work. These huge off-highway machines are equipped with powerful engines with up to 12 turbocharges. The trucks exceed the height of a two story building. They operate on 63-inch tires and multiple-disc oil cooled brakes. The majority of the trucks employ hybrid diesel-electric drive systems to offer great efficiency and power. Their huge frames are designed to carry weights of up to 400 tons and their GVOW can exceed 650 tons. Typically, the parts are sent to the site and the trucks are built right there. 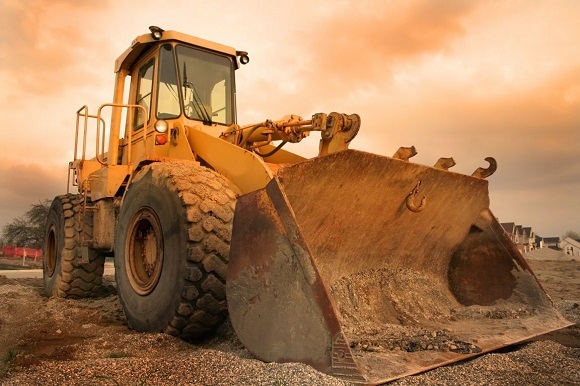 Take a look at the five biggest dumper trucks for sale in the world. With a maximum capacity of 320 tons, the Komatsu 930E features a Komatsu SSDA or Cummins QSK78 engine. A true monster to be reckoned with, the 930E has a total body height of 24 feet and two inches (which is around 7.4 metres) and a total length of around 15.6 metres (51 feet and two inches). 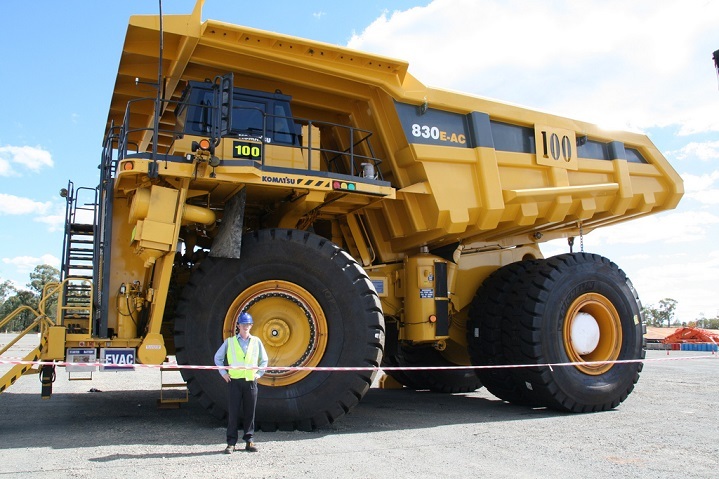 This huge dump truck from Komatsu has a turning radius of around 14.9 metres (49 feet and one inch) and, when loaded, an estimated speed of 64 kilometres per hour. A beast when it comes to the off-highway mining applications, this dump truck from Komatsu is truly one of the bigger dumpers for sale. Measuring in at a height of 23 feet and 10 inches (around 7.3 metres), the TI 274 is definitely one of the bigger dump trucks you will see. 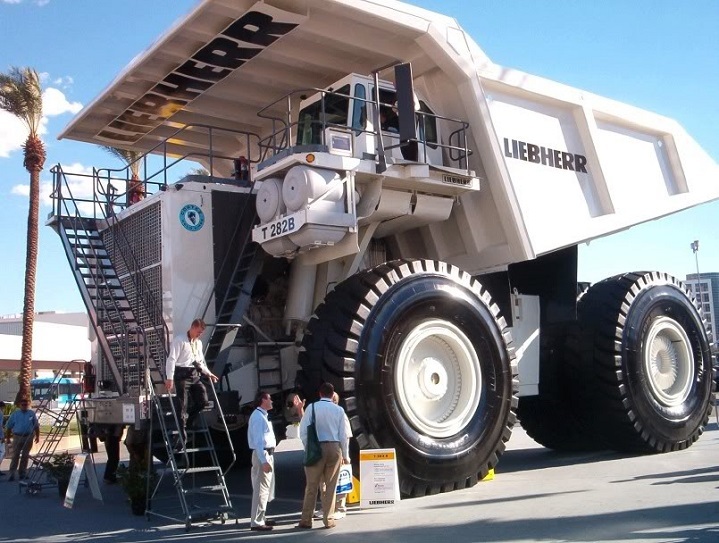 With a body length of around 12.6 meters (41 feet and 4 four inches), this monster of a dump truck from Liebherr boasts an engine output of 2 238 kW and weighs in at 187 tons (empty vehicle weight). The 830E dump truck from Komatsu is another monster gracing the dusty roads of various mines. With a body height of around 6.9 metres (22 feet and seven inches), this off-highway truck has a turning radius of around 14.1 metres (46.5 feet). With a length of around 14.1 metres (46 feet and five inches) it features a Horsepower of 2 500 and a top speed (when loaded) of around 64 kilometres per hour. Measuring 47 feet and four inches (around 12.4 meters) in length, the EH5000 from Hitachi is a huge piece of machinery. With a horsepower of 2 700, this EH50000 dump truck has a weight of around 7.2 metres (23 feet and six inches), and a huge turning radius – measuring in at around 15.1 metres (49 feet and six inches). 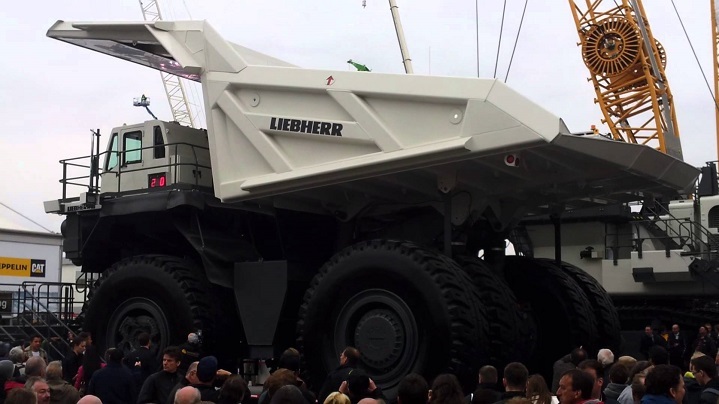 If you are looking for the biggest dump truck, the Liebherr T 282B is definitely on the list. 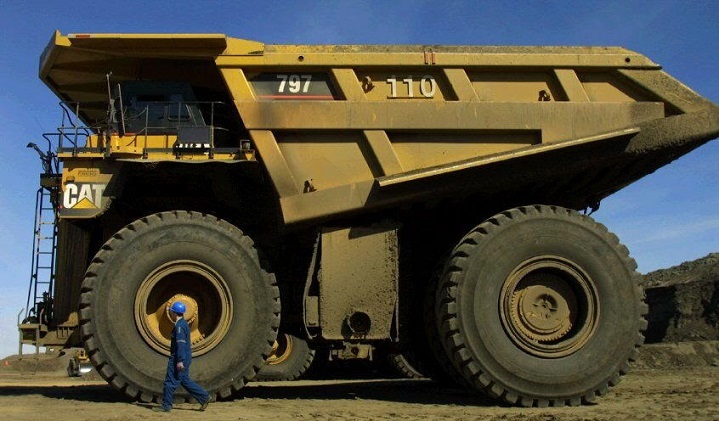 Boasting a maximum capacity of 400 tons, these dump trucks for sale have a height of around 7.8 metres (25 feet and nine inches) and a length of around 15.3 metres (50 feet and 3 inches). Having a turning radius of around 18.6 metres (61 feet), this monster definitely stands out from the crowd. 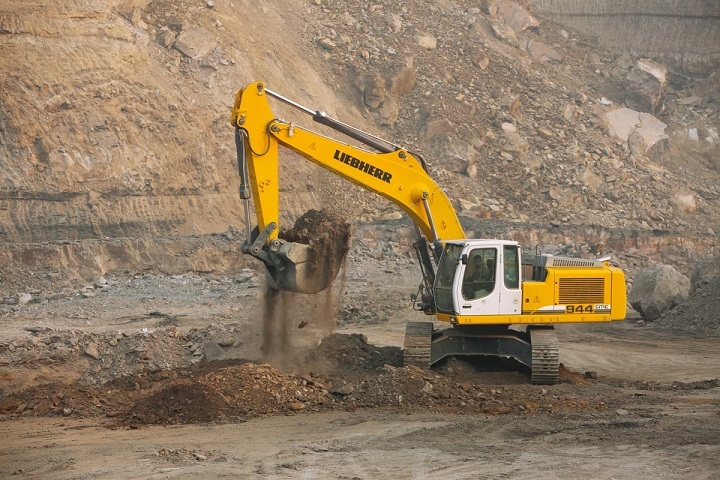 With the Liebherr T282 featuring a total of 20 Cylinders, the 930E closely follows with 18. The T 282B has the highest maximum capacity, weighing in at 652.5 tons, followed by the EH5000 from Hitachi, which has a maximum capacity of 582 tons. Looking for dump trucks of your own? Truck and Trailer features a range of dump trucks for sale and, though they might not be the biggest dump trucks in the world, you will most definitely find one big enough to meet your needs.